This is a Double Wide Corrugate Scratcher. 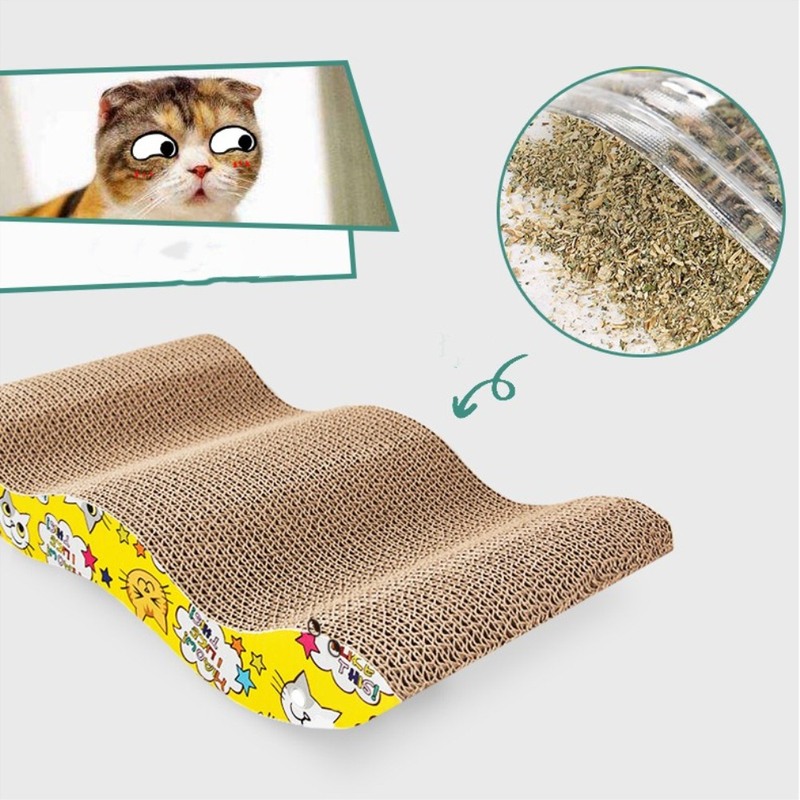 This corrugate Cat Toys provides a positive scratching environment, and comes with catnip to further entice your cat to do its scratching here. 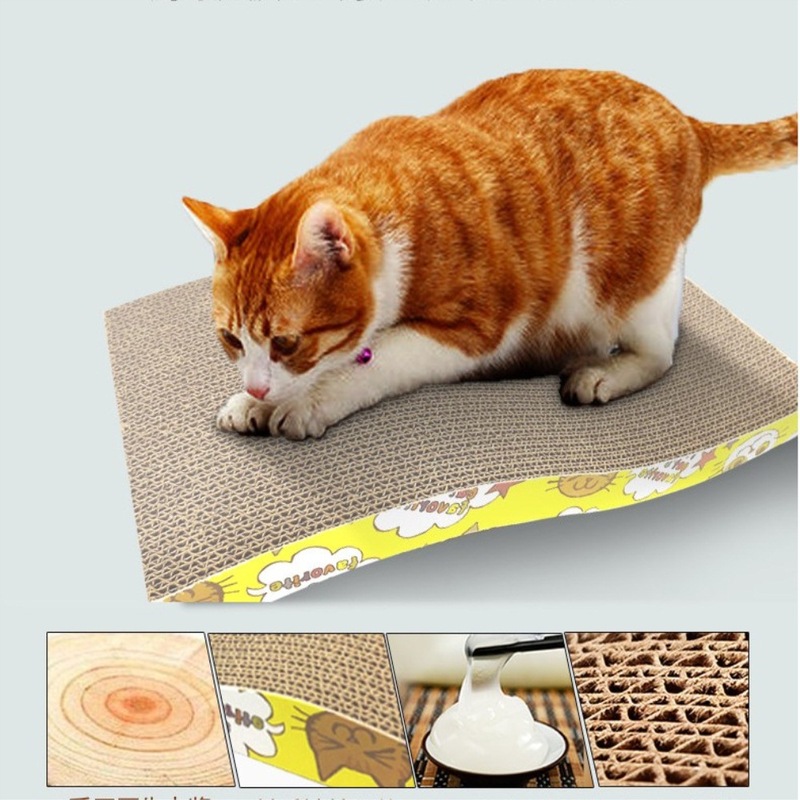 Satisfy your cat's natural instinct to scratch with the Great Choice Corrugate Wave Scratcher. 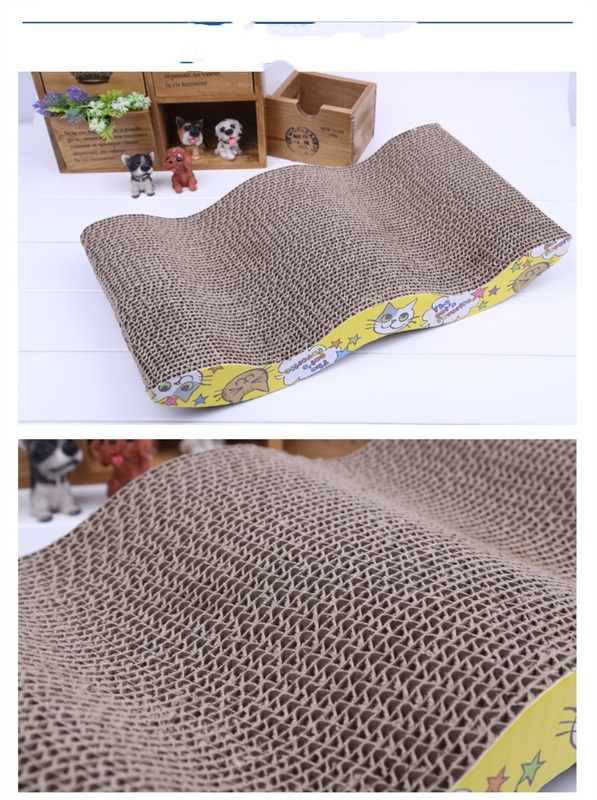 This corrugate piece comes in a wave shape that is both fun and functional, and is made from corrugate so when the need to scratch arises you can provide a positive scratching environment. "i bought this for my kitty Coco as Christmas gifts.The size is just right - it fits nicely in a corner without being too obtrusive. My cat is of slighter build (she hovers around 4kg) but there would be room for a cat of larger build to sleep on it, I'm sure. The board is double sided so it will last for ages, although I think my cat prefers it one way up due to the shape. At this price I may just buy her a new one instead of flipping it! Since we got this, the cat has stopped scratching the carpet too so it's a massive saving over having to replace carpets.,i will get more cats toys or cats trees from this shop." Looking for ideal Wave Shaped Cat Scrathcer Manufacturer & supplier ? We have a wide selection at great prices to help you get creative. 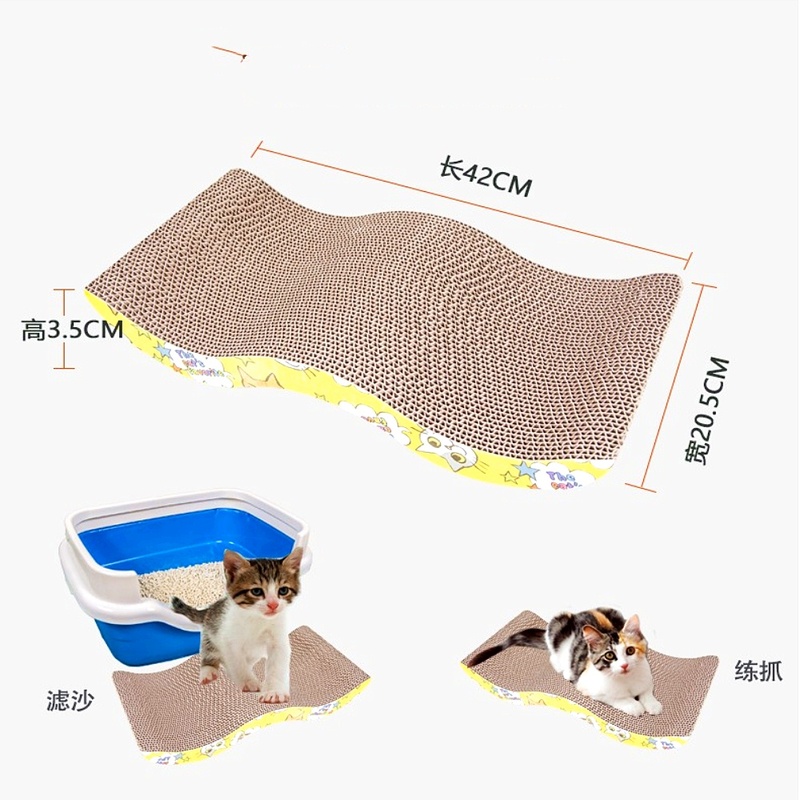 All the Double Wide Cat Scratcher are quality guaranteed. 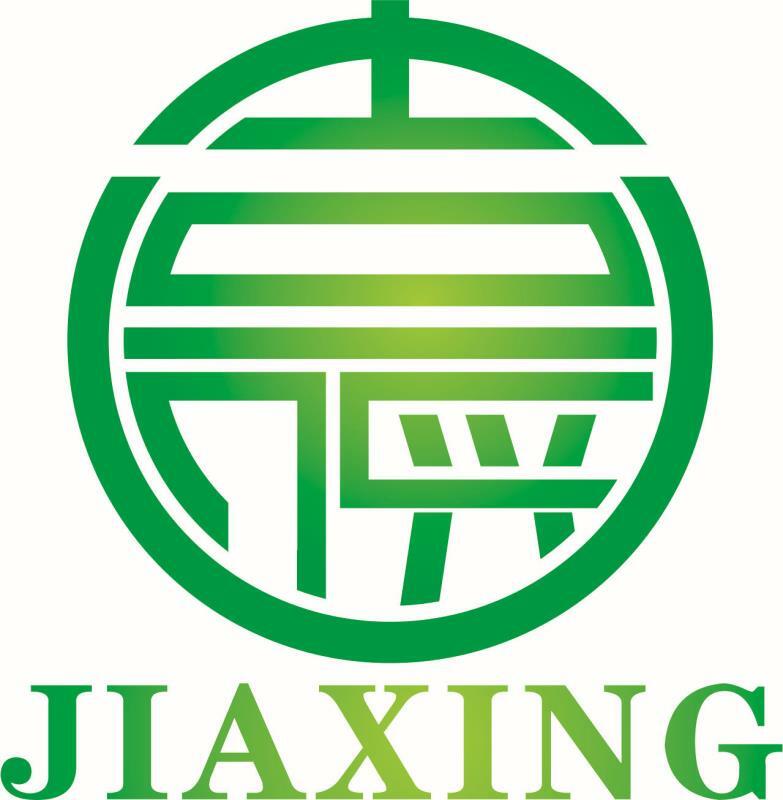 We are China Origin Factory of Feline Scratch Toys. If you have any question, please feel free to contact us.